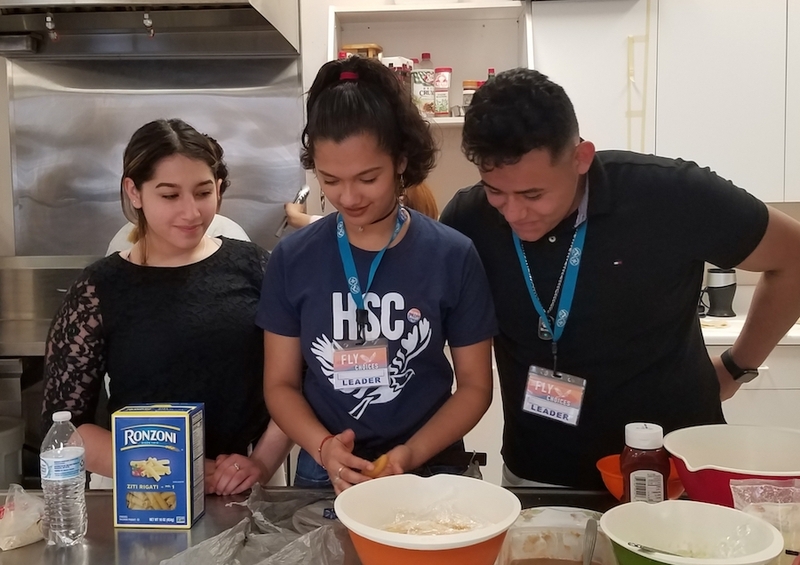 Keily Guillen, Marlin Pineda, and Osman Delgado learn about culture through food. Cari Strand Photos. What happens when students are allowed to run their school? You might think the result would be endless recess or ice cream for lunch, but when High School in the Community (HSC) announced plans to do exactly that on the half day before April vacation with our annual Fly Choices Day, students instead proposed workshops like “Self-Confidence Boost,” “How to Follow a U.S. Election,” “Theater Time,” “Cultural Comparisons,” “Painting with the Colors of Extinction,” “The Dead Poets’ Society of HSC,” and more. Juniors Ashantee Terry, Sam Perez, Orianna Martin, and Simone Henderson at the Fly Choices Day kick off. Seven years ago, Library Media Specialist Fran Pierson and Shaboo envisioned Fly Choices Day as an experiment in student leadership. Each year, students have taken on more and more responsibility; this year all 16 workshops were student run. 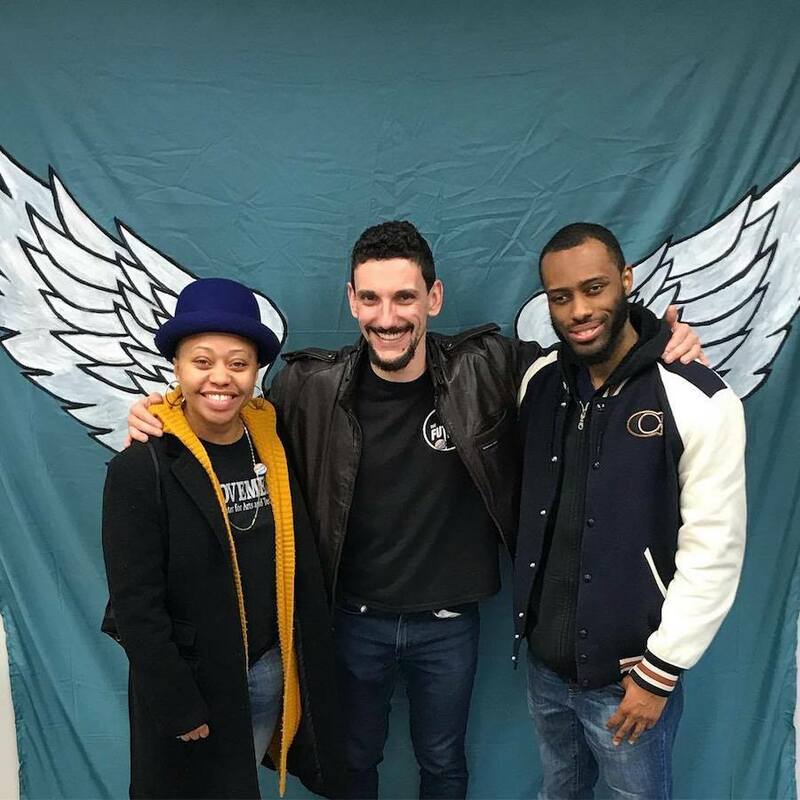 In the weeks leading up to the event, Shaboo and Pierson met with students to help them bring their visions to life, focusing on planning, structuring, and implementing workshops and on engaging their peers. Students were allowed to select their topics and were given complete control of their session’s design. The day began with a kickoff in the cafeteria. 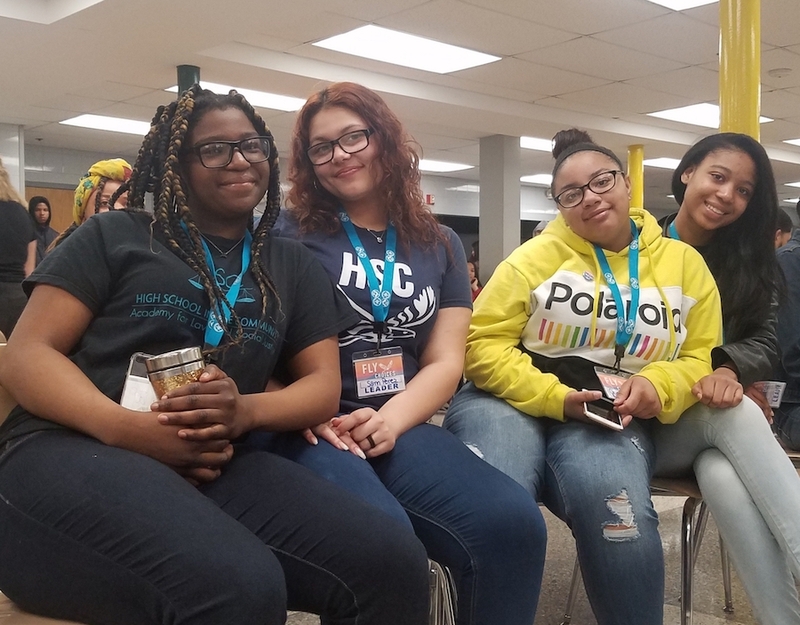 Students took pictures in a “photo booth” area, guest speakers shared wisdom and poetry, and English teacher MarcAnthony Solli brought down the house with his rendition of “Runaround Sue,” backed by the HSC student jazz band. Social studies teacher Jack Stacey and math teacher Barbara Crowley showed off some impromptu classic dance moves. 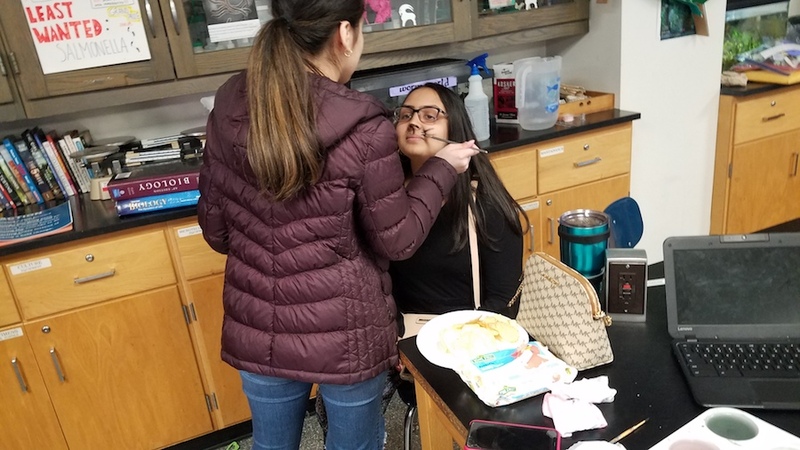 Once the students were energized, they headed to advisory groups where they worked together to clarify the day’s purpose and then moved to the student-led workshops they’d selected. Senior Lincy Valeta co-leads a theater workshop. Junior Tyla Narcisse co-emceed the day. “We learn every day but this one day is dedicated to being happy and expressing ourselves. It motivates kids to come to school the rest of the days because they’re happy here," she said. "The Colors of Extinction" workshop. 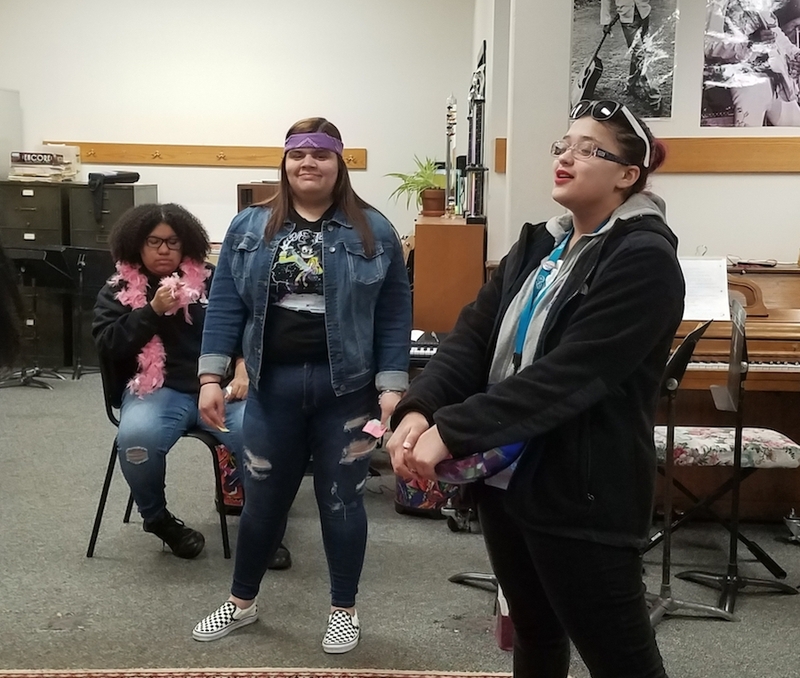 For senior Tony Torres, leading a poetry workshop was about “being able to see what’s in students’ minds, hear what’s in students’ minds, and understand what’s in students’ minds so we can get to know each other better." "When we understand what goes on in our heads, we’re able to understand each other as individuals. If another student writes a poem that shows me what’s inside him, I could end up appreciating him and shaking his hand,” he said. HSC alum Raven Blake with Christian Shaboo and Solomon Green. When everyone gathered back in the cafeteria at the end of the day, spirits were high. Music pumped through the space, and students shared the work they’d done that morning, reading their poetry, singing, and keeping the energy going until the final bell rang. HSC Class of 2008 graduate Raven Blake, a speaker at the kickoff, was impressed by the experience. “In the debrief,” said English teacher Dianna Carter, “every student in my advisory group reported having deeper empathy." Cari Strand is a curriculum leader at High School in the Community.